How did your weekend go? Mine was cold and rainy, but I'm not complaining at all! We most definitely needed the rain and its about time it got cold! This week over at The Cutting Cafe', Regina asked the design team to use the new Christmas Pockets file to create our projects. This is mine. It would be perfect for a small gift or money or even a gift card....or 2 or 3 gift cards! Heehee! It's a nice size. It measures 5" x 5". Pin It I used my Pazzles machine to cut out my pocket. 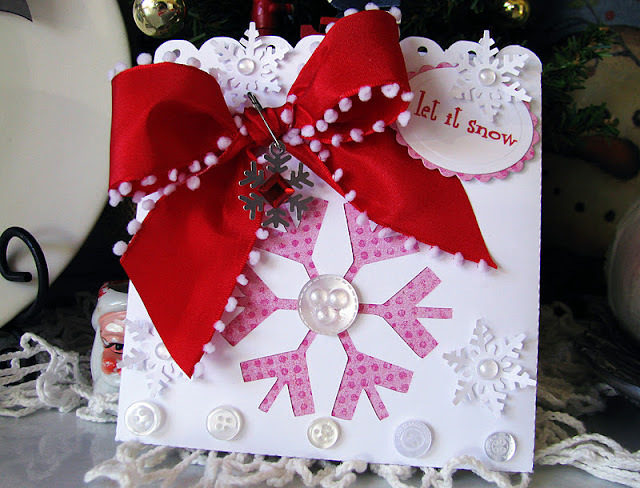 The file cuts out the scallops and the snowflake, then I added the holes on the scallops and then cut out a circle of pink polka dotted paper to use behind the snowflake. The sentiment I used is from the Snowman Shaped Card Set. I used my Printmaster program to change the color to match my project. 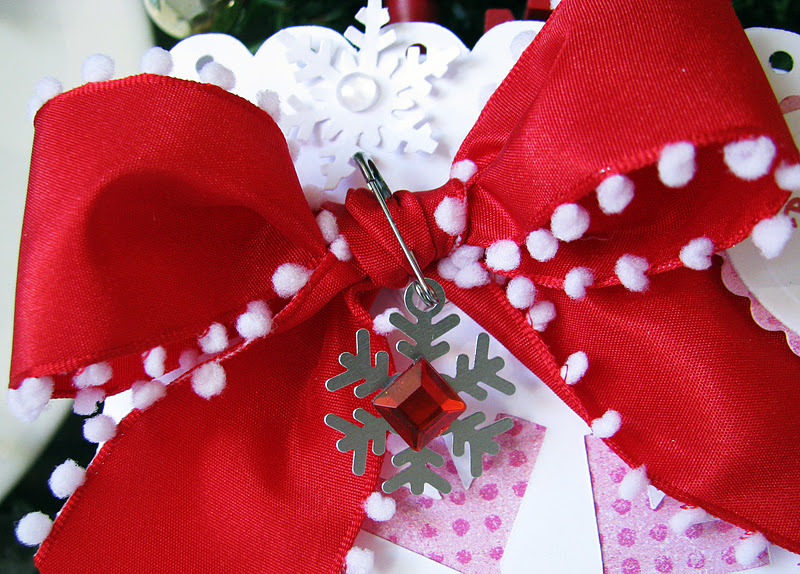 I had these little Christmas charms in my stash and this snowflake had a blue center, so I covered it up with a red rhinestone to match my big red bow. 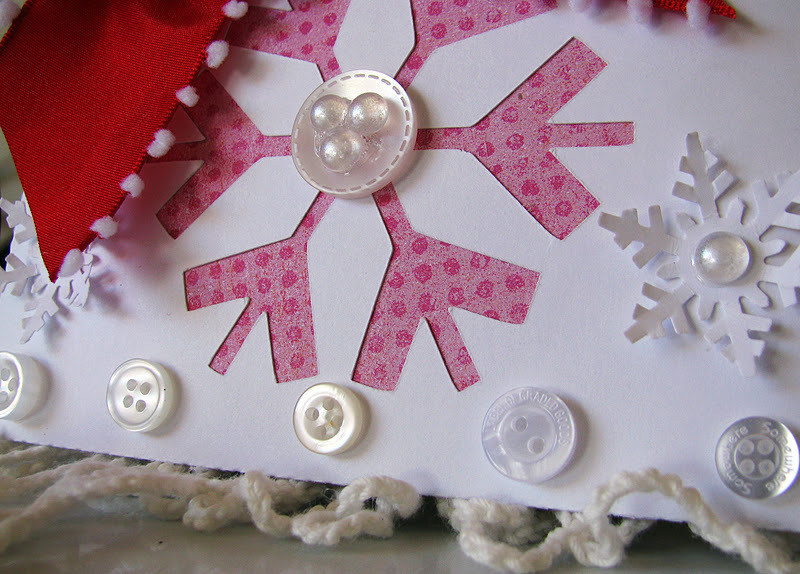 I added lots of vintage buttons and some dew drops along with some punched snowflakes I made with my Martha Stewart punch. I love that punch a lot...I do! I have this little yummy for sale in my Etsy shop along with lots of other goodies for the holidays. Please stop by and take a look! This is gorgeous, DeeDee!! 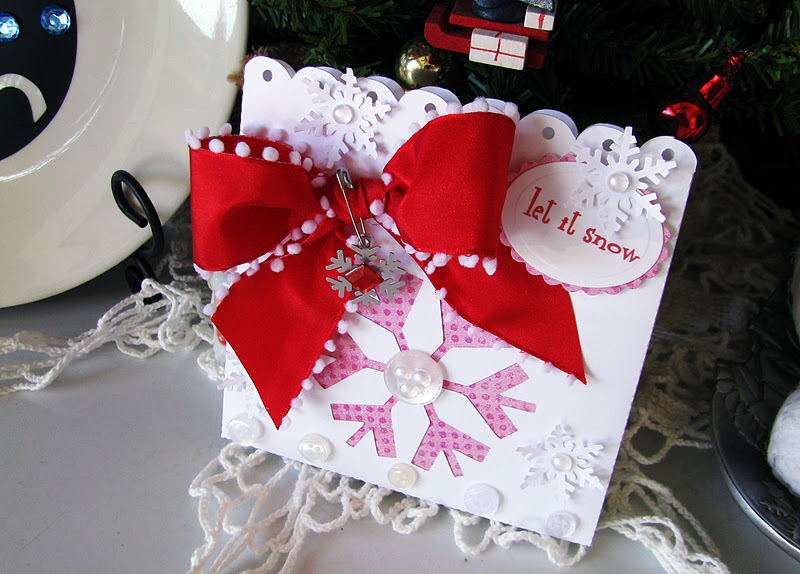 LOVE that big red bow and the snowflake with the gem in the center is beautiful! Awesome work, girlfriend! This is darling! 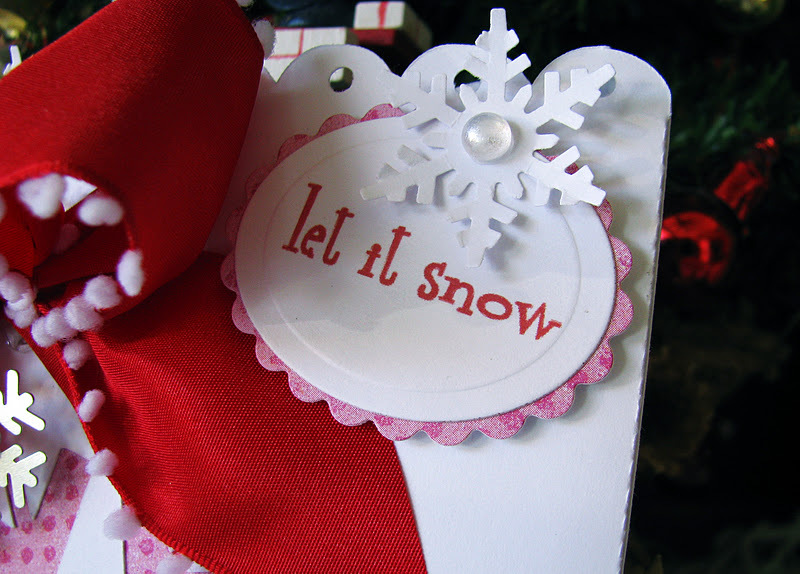 Love that snowflake punch tool thingie! Love your pocket - it's so pretty, especially with that bow!